Durries are the large sheet, which is spread on the ground to cover a large area, either to enhance the visual appeal of the place or to facilitate seating during festive occasions or others. Modern India has restricted the use of durries to augment the visual appeal of the ground whereas in rural areas, it is still the very important part of social gathering. Sitting on the ground, mostly during pujas, meditation, meetings etc. is the part and parcel of the Indian culture. Jute Durries are available in the various colors, designs, and patterns to serve the needs of both rural and urban area. If, you are belonging to urban area and willing to decorate your interiors with the Jute Durries, go ahead with the plan, as you will get a vast assortment to choose from. 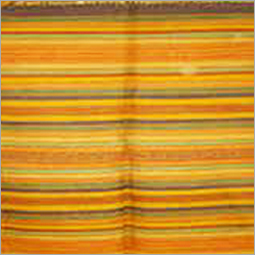 This closely woven sheet is available in varied colors combinations to suit your interiors. Your feet will surely love to walk on them. For all our rural counterparts, as Jute Durries are important aspect of life, you can have them in all possible sizes, shapes, and colors. Designing such durries is a daunting task as most of these are hand-spun. However, advent of technology has shared the burden of the craftsmen by making the manufacturing process easier. These craftsmen are engaged in manufacturing Jute Durries since generations. You can even avail customized designs of Jute Durries in regard with shape, size, and color-combinations. Dawn of online shopping facility has helped these manufacturers to showcase their products on Internet, which has increased the reach of their products among the prospective customers. On this kind of website and portals, you get a wide variety of Jute Durries having varied features durability, efficiency, colors, patterns, prints, etc. Easy payment facilities add convenience to the entire process of shopping online.